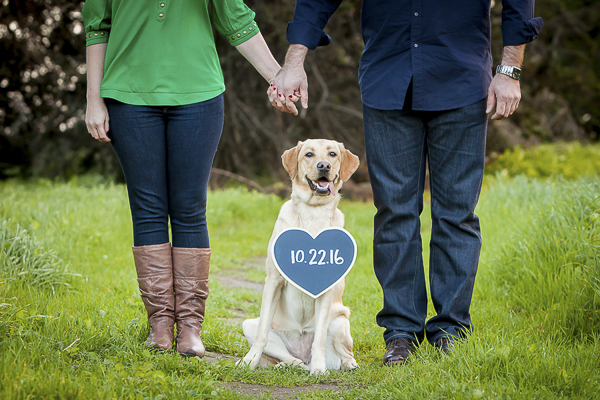 I am a sucker for a great Save-The-Date card especially when a dog is involved. 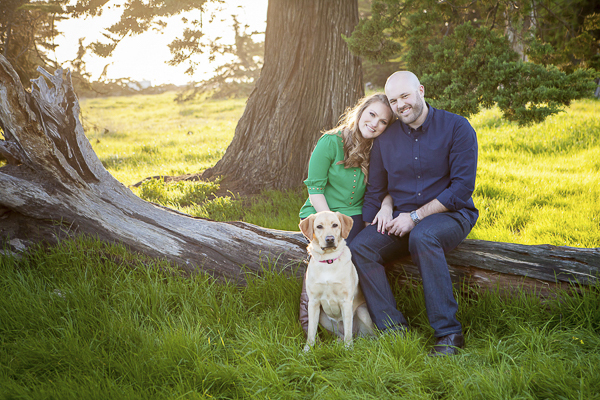 This sweet engagement session from Lora Mae Photography fits the bill perfectly! 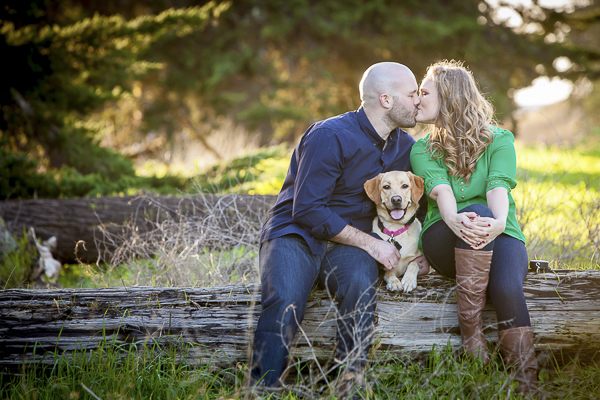 Kona, a Yellow Labrador Retriever, is destined to make the world a better place. When she’s older, she’s going to bring smiles to hospice patients and their families. For now, though, she’s content sharing her gorgeous smile with all of us! 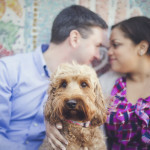 You can see even more photos of Kona, Alex, and Rich on Lora’s blog. 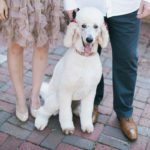 I am not sure if Kona will part of the wedding ceremony, but I am hoping she is! Follow Lora Mae Photography on Facebook. 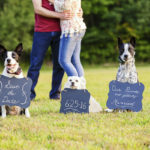 About Lora Mae Photography: Based in San Jose, California, Lora specializes in wedding, family, and portrait photography. I can’t tell you how much I adore this whole set, but man… the paw/ring shot is pawesome! 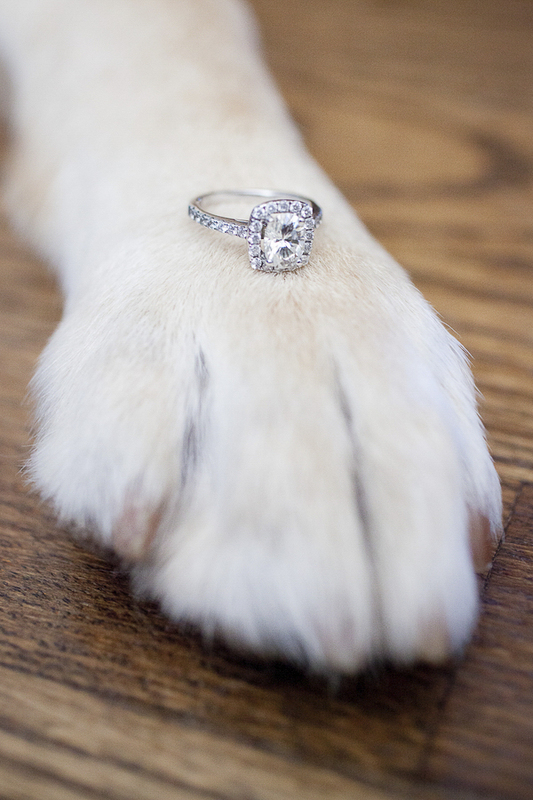 Love the ring on the paw….. that is too adorable. 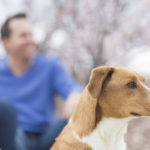 These are beautiful and if you’re going to put a dog in the pic, he’s going to steal focus so you might as well make him front and centre. This is so cute!! 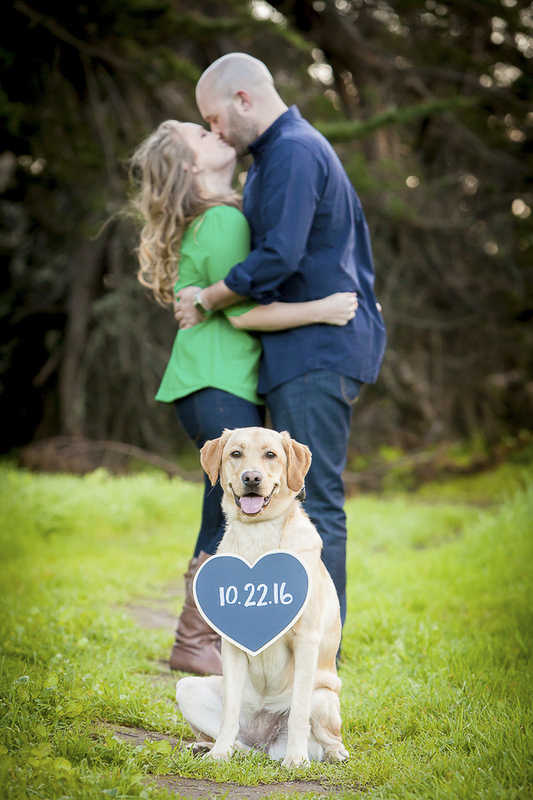 I love the photo of the ring on the dog’s paw. So sweet.